Have you ever wanted to learn more about laser eye surgery from an expert? We caught up with our laser eye surgeon Dr. Andrew Logan to ask some important questions about laser eye surgery, the industry, and Dr. Logan’s career. Dr. Logan is the founder of Wellington Eye Centre and has been an ophthalmologist, or eye doctor, for over 35 years. He qualified as a doctor with a Bachelor of Medicine (MB) and Bachelor of Surgery (CH.B) from Otago University in 1976, and completed his training as a specialist ophthalmologist in 1983. His extensive experience and love for his work makes him one of the best surgeons in the industry. Keep reading to learn more about Dr. Logan and laser eye surgery. Where did you train to become an ophthalmologist? I trained in Wellington, finishing here in 1983. Then I spent a couple of years working overseas and came back to Wellington. I set up a private practice in 1988. I had been in practice for a while doing general ophthalmology, cataract surgery and treating children’s eyes, and then the laser eye surgery field started to develop. At that point I got interested in it! 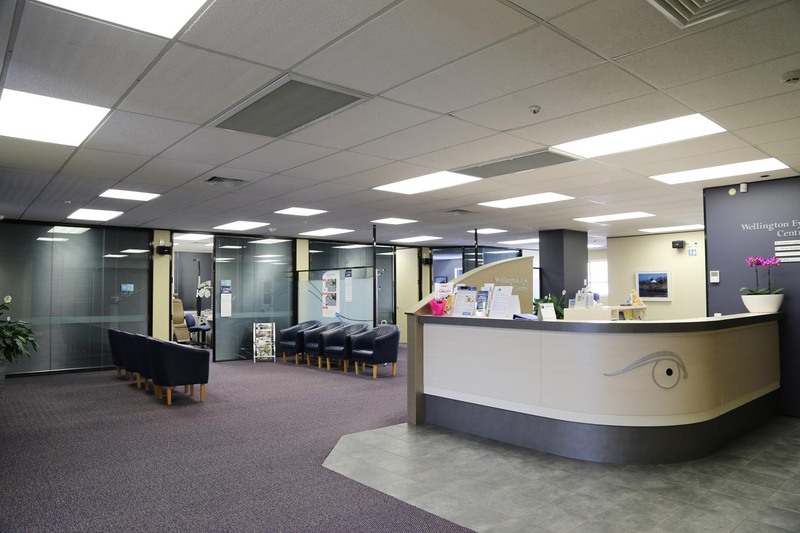 Interesting fact: Wellington Eye Centre specialises in more than just laser eye surgery. We offer a variety of non-laser procedures to correct vision. These alternative options may be recommended for customers’ whose eyes may not be suitable for laser surgery. Why did you start a laser eye surgery clinic? Back in the mid-90s when I thought about doing this, it was a very new industry and there was only one laser clinic in New Zealand, in Auckland. It sounded very interesting – I wore glasses myself and I could see the attraction of getting laser eye surgery. It was a good time to get into it because it was a new field, and the technology behind it was rapidly developing. It’s beneficial for patients; you’re not treating an illness, you’re treating a condition that improves people’s lifestyle. So I decided to go for it! Interesting fact: Wellington Eye Centre opened its doors to the public in 2004. We then opened up our practices in Napier and Nelson in 2009 and 2018 . Dr. Logan travels between our clinics to do laser eye assessments, but all of our treatments are done in Wellington. How has the technology changed since you first started practicing? The technology has changed extraordinarily. It has completely revolutionised. The technology has come along enormously over the last 30 years, since I started doing this – which you would expect! The laser manufacturer that has the best technology will tend to stay ahead because the cost of developing new technology is enormous. The commercial risks are also very high – getting new technology approved, tested and into the market takes a significant amount of time and money. There are big commercial risks involved for the manufacturers, but if they don’t innovate, they are out of the game. 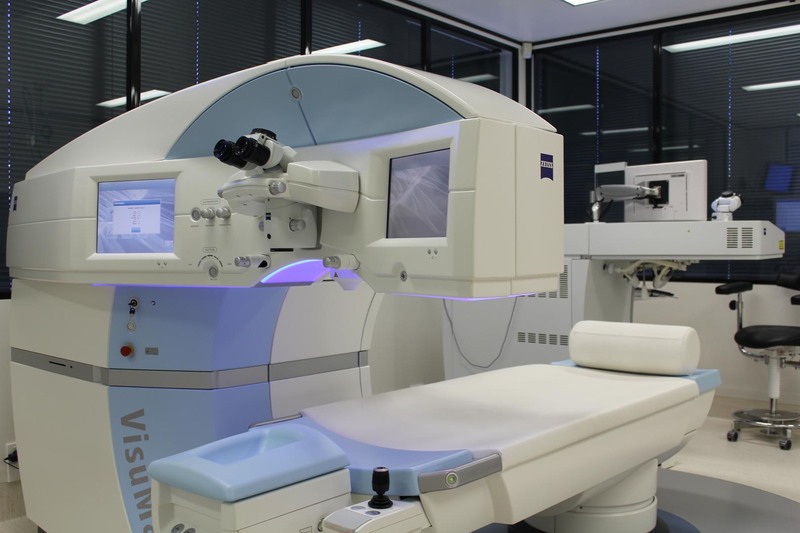 Wellington Eye Centre has introduced almost all of the modern techniques for laser eye surgery to New Zealand. We were the second clinic in New Zealand doing PRK back in the nineties, we were the first clinic to do SMILE and the first to do LASIK. We have been about 1-2 years ahead of everyone else in New Zealand on that front. We are always researching new techniques and try to stay right at the leading edge, without using experimental or risky methodologies – it’s all proven technology! As time goes on, procedures are going to become less invasive, meaning there is less disruption to the eye, to achieve the same results. That has been shown with procedures such as SMILE, which is becoming incredibly popular. LASIK is still a really suitable procedure for many customers, but SMILE is less invasive and for people that can have SMILE, I think it is a better way to go. Interesting fact: Dr. Logan was the first eye surgeon to perform LASIK surgery in New Zealand in 1995 – a year before any other New Zealand eye surgeon. He was also the first New Zealand surgeon to perform SMILE surgery in New Zealand in 2013. Are there a lot of different laser eye surgery clinics in New Zealand? Yes, there are two in Christchurch, two in Wellington, three in Auckland and one in Hamilton. The market is well supplied with laser eye surgery clinics. Our main laser eye surgery clinic is in Wellington, but we also have clinics in Napier and Nelson. 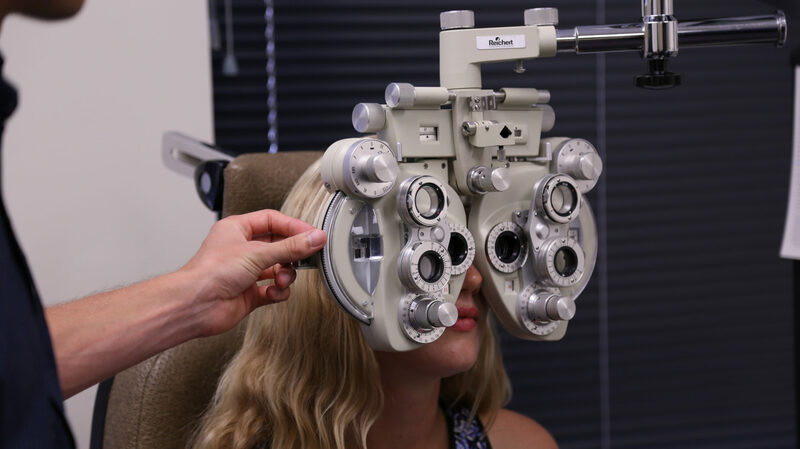 Despite there being several laser eye surgery clinics in New Zealand, not all of them offer as many types of laser eye surgery as we do. Interesting fact: Wellington Eye Centre welcomes patients from all around New Zealand. We know how important it is to recover post-surgery and appreciate that non-Wellingtonians don’t have that same luxury like our Wellington patients, who can sleep in their own bed the night after surgery, so we offer an accommodation package for patients from out of town. Are people that come in for laser eye surgery consultations well educated on the different procedures? Generally they are, because usually by the time they see us they have read the information on our website. Most people do a fair bit of research prior to their consultation – there is tonnes of information out there. They obviously have the opportunity to go to any of the clinics in New Zealand and sometimes have even had a consultation at a different clinic before they to come see us. So they’ve done thorough research before we see them. Interesting fact: We have a section on our website dedicated to laser eye surgery frequently asked questions, as well as other useful resources. It’s a helpful place to refer to if you are looking into having laser eye surgery. Are there any misconceptions about laser eye surgery that you’ve come across? We find a lot of people don’t know that laser eye surgery is permanent. We come across people who want to stop wearing their glasses or contact lenses, but are reluctant as they think the surgery will only last a small amount of time. Laser eye surgery does last though! I had laser eye surgery 22 years ago and my eyes have been great. I still don’t have to wear glasses. Sometimes people think they aren’t suitable for laser eye surgery because they are too old and will need to wear glasses again after a couple of years. The surgery is permanent, barring other problems occurring. For example, if you develop cataracts when you get into your 70’s then your vision will change, but that is completely unrelated to having laser eye surgery done. Technological advances also mean people who were considered unsuitable for laser eye surgery in the past, may now be suitable. Interesting fact: Dr. Logan was the first New Zealand eye surgeon to have laser eye surgery himself in 1996. How do you recommend different types of laser eye procedures? The type of laser eye surgery someone has depends on whether they are short or long sighted, as well as how old they are. Someone who is 25 versus someone who is 45 will likely have different recommendations. Wellington Eye Centre does SMILE, LASIK and PRK surgery. We also do cataract surgery – if someone comes in for laser surgery and they’ve got cataracts for instance, we are obviously not going to do laser surgery, we’ll do the cataract surgery and achieve a comparable outcome! If you are wondering whether laser eye surgery could be the solution for you, come and see us for an initial suitability assessment. It’s free of charge and obligation free, and you will find out a lot more about your suitability for different procedures. Why should people choose Wellington Eye Centre? We’ve been doing it for a very long time. The refractive surgeons in New Zealand are a really skilled bunch, and we have access to great technology. Wellington Eye Centre is very customer focused; we strive to make the whole experience as much stress-free as possible for our customers. We have a great team and our emphasis is on every detail of our patients’ journey. It’s not just about the surgery outcome – it’s about the whole process; from education, to assessment, the surgery itself, and then postoperative care. When people entrust their care into our hands, every detail matters. See what some of our customers think about our services. Wellington Eye Centre has always been a leading edge clinic in the industry. We’ve generally been the first adopters of most developments and procedures that are used for laser eye surgery and corneal surgery over the last 20 years. I was the first surgeon in New Zealand to have laser eye surgery, so I know what people are going through. There aren’t many refractive surgeons in New Zealand who have had laser surgery, so I put my money where my mouth is! What do you love about having had laser eye surgery? The best outcome from having laser eye surgery was not having to wear glasses. It’s great! I wore glasses constantly when I was younger – I couldn’t read or see at a distance without glasses, so I had worn them since the age of 19. They were a hassle – I lost them in the bush once, down in Fiordland, and that story didn’t have a great ending! ! It’s as simple as having the independence from glasses and contact lenses. And lastly, what sort of things do you like doing when you’re not at work? I enjoy photography and try get out in the bush if I can, although that isn’t overly frequent! I seem to spend a lot of time weeding the garden. Come in for a free laser eye surgery suitability assessment! Dr. Logan and the team would love to meet you.